By making use of application workflow software, an process can be easily tracked and managed, identifying and removing of bottle necks and assigning roles to specific employees or departments. Workflow management will not only improve the quality and performance of the company, but will also have a full audit trail what has been done and who is responsible for the various processes in a workflow. Often companies battle woth tracking and managing workflows, making the application workflow software an essential for any size company. Workflow management is designed to facilitate workflows with any number of internal processes by assigning the specific process / role to an employee, system or department. By assigning the role to the specific source, the workflow management system enables you to track and see who is responsible for the next process or in what stage the workflow is. The application for workflow management system also includes a form generator to create your own forms in the specific way required, this enables organisations to create online forms to capture the clients details or any other details whatsoever. 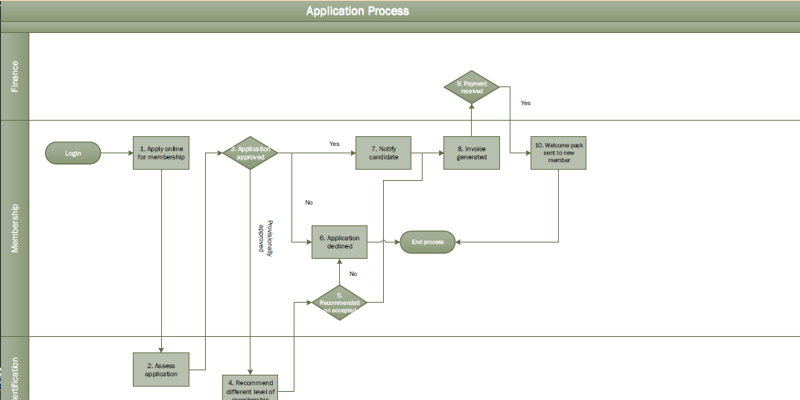 The application Workflow software creates a process for your company. This example is of a learning institution createing a process flow form. Each company creates processes unique to their needs. Forms can be grouped and used for specific applications. 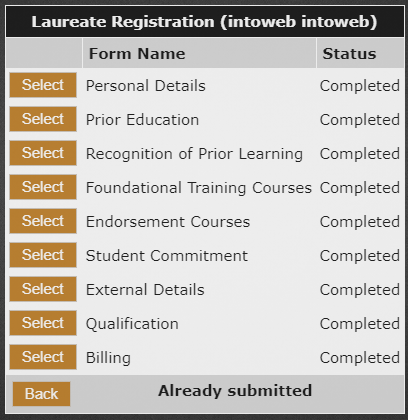 The list of forms shows the stage of completion for their registration process and if incomplete, the user then has access to "Select" the incomplete form and complete it. Thus there is a constant record of which work is outstanding and which areas are complete. The workflow software application is managed showing which step the form is at and what the next step should be for easy search and access. 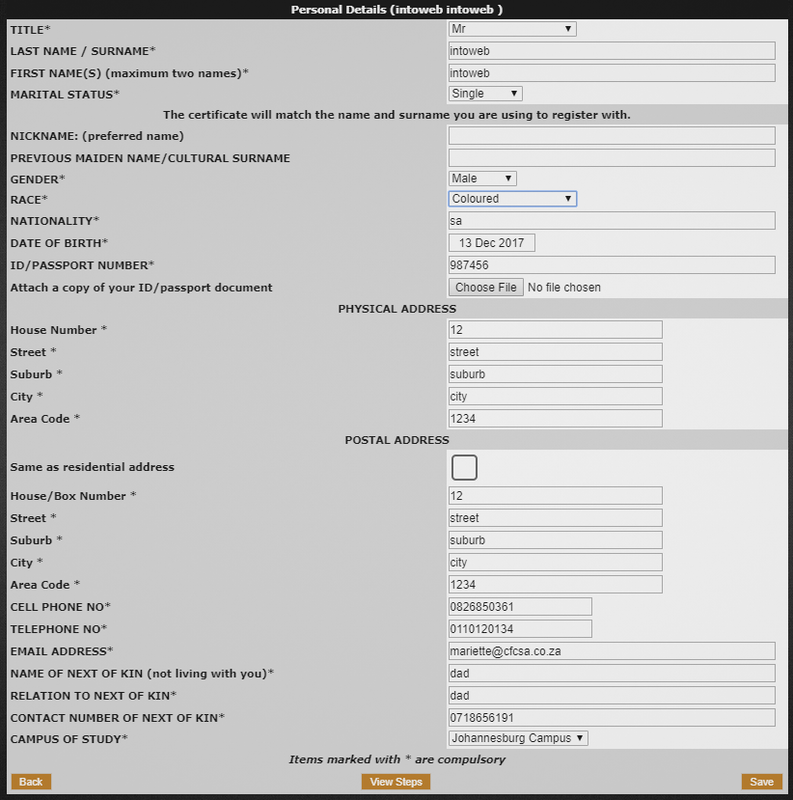 Access to the forms is set using security levels ie a form for an outside user is accessible to all to complete eg when a person needs to apply for a conference and access the form via a website. The forms for internal company processes will be set with higher restrictions in security access to target only those who are allowed access. Use the application workflow software to track student or membership billing, method of payments. Forms have multiple "types" that can be used for creating forms to get the most accurate information.